RAW HOLLYWOOD : NEW MUSIC: MARY J. BLIGE FEAT. 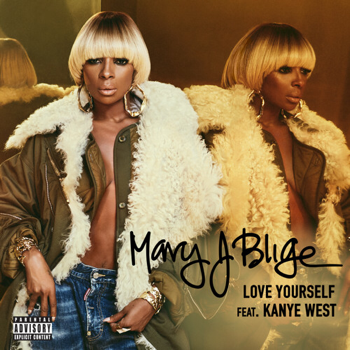 KANYE WEST "LOVE YOURSELF"
NEW MUSIC: MARY J. BLIGE FEAT. KANYE WEST "LOVE YOURSELF"
Queen of hip-hop/r&b Mary J. Blige is fully loaded with preparing fans for the release of her new album Strength of a Woman. Earlier this week she unveiled the projects beautiful cover artwork where she was stunningly sitting on her throne followed by the track list being released days later. She is ending the week on a high note with the brand new record "Love Yourself" featuring Chicago native Kanye West. She premiered the song on Hot 97 with Funkmaster Flex where she revealed that she had always wanted to collaborate with the rapper.